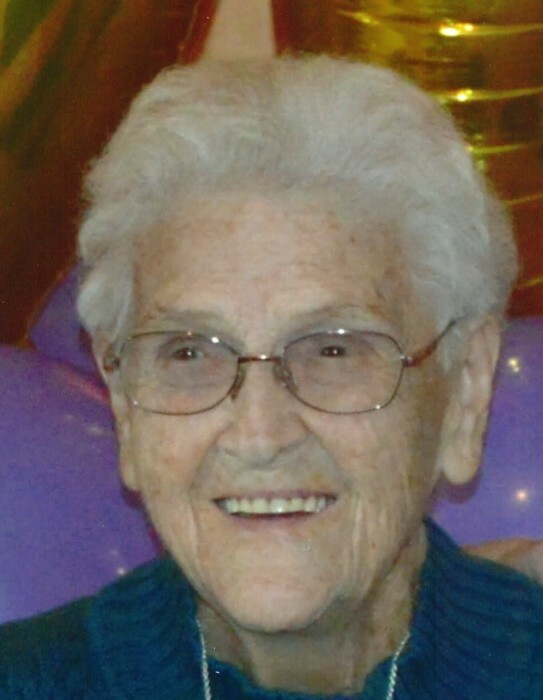 Obituary for Mildred E. (Unsworth) Flanagan | Nardolillo Funeral Home, Inc.
92, of West Warwick, passed away on Monday, February 4, 2019 at West View Nursing Home, West Warwick. She was the beloved wife of the late Howard H. Flanagan. Born in Providence, she was the daughter of the late Joseph A. and Gertrude (Early) Unsworth. Mildred was a mold operator at the former U.S. Rubber Company before retiring. She was the devoted mother of James J. Flanagan and his late wife Patricia of North Providence, Maureen F. LeClair and her husband Steven of Coventry and the late Patricia M. “Patsy” Flanagan; loving grandmother of James Flanagan, Valerie DeStefano, Michael LeClair and Christopher LeClair; cherished great-grandmother of Rebecca, Nicholas, Landon, Madison, Colton and Cameron; and dear sister of the late Joseph Unsworth, Anna Dove, Raymond Unsworth, Frederick Unsworth, Francis Unsworth, James Unsworth, Gertrude Campbell. Madeline McGrath and Edward Unsworth. Her funeral will be held on Friday, at 8:45 a.m. from the NARDOLILLO FUNERAL HOME & Crematory, 1278 Park Avenue, Cranston, followed by a Mass of Christian Burial at 10:00 a.m. in Christ the King Church, 124 Legris Avenue, West Warwick. Burial will take place in St. Ann Cemetery, Cranston. VISITING HOURS: Thursday from 4:00-8:00 p.m. In lieu of flowers, memorial contributions may be made to: Perspective Corporation (Arcadia Group Home), 1130 Ten rod Rd., North Kingstown, RI 02852.